You feel confused and angry, when you have so much to say, but can’t put them in words. Expressing your feelings in a relationship is equally important. So, if you are confused about how to express your feelings, then let a beautiful bouquet do it for you. 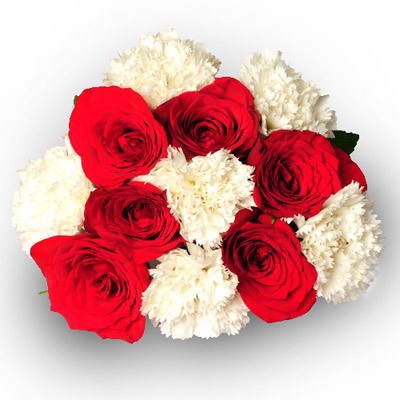 Gift your beloved this beautiful bunch of 6 red roses and 6 white carnations and make her smile.